Wins Above Replacement (WAR) attempts to measure all the aspects of a player’s total value. 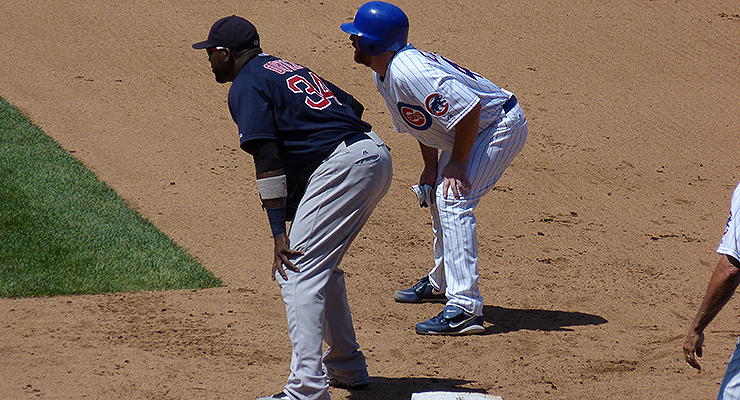 For position players, that encompasses hitting, fielding, base running and a positional adjustment. Today, I am going to look at the last aspect of the equation, positional adjustments, to see if the values need a little tweaking. The reason for the investigation is based on the actions of major league teams. They don’t value—or don’t seem to value — players the same way as do the writing and researching public. It seems teams put more emphasis on the corner guys, while the public sees players up the middle as having more value. I had an idea that teams may know a little more than the general public and decided to dig into the values. Do these values need some tweaking? It has been a few years since these were established, and it’s always good to refresh our research, even if nothing really changes. To start with, I will look at the infield position adjustments used in WAR and ignore the DH for a bit. I am going to examine differences two separate ways—by defensive and offensive numbers. Let’s start with the defensive values. For the defensive values, I used all the non-catcher UZR data from 2002 to 2014 and compared the defensive runs saved per 162 games by using the harmonic mean in innings played. We end up with four columns. So, a couple of ground rules for creating this positional spectrum. First, I am going to concentrate on the values that contain the most innings. These are the pairs with the most data since players make this transition the most. Also, I am going to concentrate and give more weight to the positions where players are most likely to move from. No first baseman is going to be asked to play shortstop. Instead, they will likely be moved to a corner outfield spot (see Moss, Brandon) or to third base (see Cabrera, Miguel). Players usually move up or down the defensive spectrum one spot. With that in mind, let’s go through the values from center field to first base. With the outfield, we have the most opportunities of players playing different positions — this is where we find the top three innings totals. Players moving from center field see a 9.4 run bump when moving to right field and an 8.8 run bump going to left field. In addition, the difference between right field and left field is 0.7 runs. With these data points, it can be said that center field is just over nine runs harder than right field and left field. Next, we move down to the eighth and ninth spots, where the corner outfielders move to first base. The differences aren’t really that close, with left fielders seeing a 5.5 run increase and right fielders seeing a 9.3 run increase. If we take a weighted average of the two, we get 7.3 runs gained from moving from left or right field to first base. In between, we have the infield, where the third-highest total is moving from shortstop to first base. The fourth-highest innings total is between shortstop and second base, and the difference is 3.0 runs. From shortstop to third base (sixth-highest total), the difference is 2.8 runs. Finally, the second and third base (fifth highest) difference is basically zero (-0.1). With these points, we get that shortstop is three runs harder than second and third base. Moving on to first base from the rest of the infield gets murky. The top innings total is third to first (seventh-most innings) with a difference of 6.9 runs. The second to first (12th-most innings) is 4.2 runs. I am going to split the difference (more or less) and go with 5.5 runs here. Now, I am getting to the part of the process where things get murky and these results somewhat contradict the previous values. The positions are close to the same difficulty, but it seems the infield positions may be a bit tougher. I could see moving second base and third base together with left field and right field, but for now I will lean on the larger samples and keep them separated. Let’s move on to the hitting differences between positions. Using offensive values to find the defensive spectrum is quite a bit easier. Why offense to find defense? What is this, the Gold Glove Awards? Well, the idea here is that major league teams will find the best hitting players they can and then put them as high up on the defensive spectrum as possible. Then they take the next best hitter and do the same thing, and so on and so forth. Some notes on the list before I morph it with the defensive values. The range from shortstop to first base is now 20 runs instead of 16 runs. Catcher is easily the worst hitting position, with shortstop coming in second-worst, rather than center field. Center field actually makes a jump past second and third base, and is fairly close to the other outfield spots, and being on par with the designated hitter. The DH has really been a production sink compared to its potential these past 13 seasons. Center field is nine defensive and three to four offensive runs harder than right field and left field. Right field and left field are seven defensive runs and two to three offensive runs harder than first base. The biggest change I can see is a shrinking of the range. The order stays the same, but players don’t get as much credit for playing harder positions. Now with all the rest of the positions done, it is time to finally move to the most controversial adjustment — the designated hitter. With the designated hitter there are two adjustments. The first is where to put a defensive value on a player who doesn’t play any defense. The theory is that the DH would be able to field like a first baseman with minimal defensive ability, which has been historically set at -15 runs. The DH’s value then would start below that figure. Not all the DHs would be at that -15 value, obviously. Some could have been average defensively at first base, but for a different above-average defensive first baseman also being on the team. This hypothetical DH would be overly penalized for his defense for really no reason. I think there needs to be some adjustment, but perhaps it doesn’t need to be as drastic. I could envision any value between -5 and -15. But before I settle on a value, let’s go over the second DH adjustment — the DH penalty. The WAR values for the first set of players will be less with this adjustment and higher for the second set. Sadly the writing community is probably behind the times and teams have already figured out the difference in values. In terms of next steps, I think it would make sense to go back and look at these values every few years to make sure nothing changes. Or take the information we have and look at the 2002 to 2008 time frame and then from 2008 to 2014. No matter what gets done, it seems like we are a bit behind major league front offices in giving position players too large of a range of values for playing certain positions. The range is likely much narrower. Special thanks to Peter Melgren for helping to compile the information on the position to position UZR comparisons. Eh, even with his WAR boosted by the adjustment (not even counting his games at 1B), he’d be at 54 career WAR. That’s not HoF caliber, no matter how “feared” you are. Edgar, however, goes up to 76 WAR. No doubt status. What has Ortiz done that Bonds or McGwire have not done better? Hit very well even with the DH penalty? My own suspicion is that positional adjustments should be in WINS, not runs. Convert back to runs if you must have everything in runs. You can’t get the WAR or win value without first finding the run values. Runs are used to determine wins, not the other way around. Yeah, but having found a positional run value, you can convert it to wins and use the win value for the adjustment for different years. A lower run environment depresses the positional value if measured in runs, that’s EXACTLY what Jeff is observing here. Fewer runs, the value of a CF vs a 1st baseman declines, and you’d EXPECT that, and expect the decline to be about proportionate to the increased importance of a run. Great article, seriously, but I have one question: WHY? we should quickly update for the shrinking of the range in adjustments. Awesome work! I’ve been wondering about this for a while, but I don’t have the math for it, haha. I’d love to see someone tackle the followup study you suggested. This was enlightening. Great work, Jeff! Jeff, terrific work and concept. Did you control for age at all and if not, do you think it would be at all useful to do so? If (some) people are shifting positions partially because of age I wonder if that could be a confounder. My thoughts exactly. This could explain why it appears SS are overvalued in the current system. Once they can’t be SS then they are moved to another, easier position, thus only prime years are counted. The data we used was separated into single seasons, so age doesn’t play a factor in these results. So are teams better off developing catchers or signing the best FA catcher out there? One of the things I liked about Win Shares was it measured players from a hypothetical 0 value. Designated Hitters were easy. The defensive value was zero and they were worth as much as they hit. There were fielding adjustments but those were only for defensive purposes. Not saying that Win Shares were at all superior to WAR, but that part was elegant. The assumption that a replacement player can play average defense makes things complicated. Also, in your offensive approach, are you using batting runs above average, or all offensive runs, including baserunning, above average? When comparing defense between two positions, was the runs value fixed for a specific number of opportunities? Part of the defensive spectrum is that the up the middle positions get more chances than the others. The very best 1B might be +5 per season, while the very best SS is +25, in part because the SS might get twice as many competitive chances. Great article! Not only do increases in strikeouts affect the impact a defensive player can have on the game, but reduced offense (fewer runs scored per game), whether that reflects strikeouts or other factors, mean that the range of defensive value should be less to reflect that. In fact, I wonder if the new standard ought to be expressed as a percentage of league-wide offensive production, rather than a static number of runs adjusted for each position? I was wondering how much interleague play affects the DH values. Often, the NL team will keep their 1B in the field and just use a bench player as DH. But maybe that’s already included in the “Normally in the Field” category of that one table. I used to think that replacement levels were determined independently by position based on how well AAAA types do at that position. Why wouldn’t this work? Then you wouldn’t have to worry about hypothetical positional adjustments. Each position would have it’s own baseline. Jeff, I wonder if a more accurate view of the replacement batting level for the different positions would be found if you excluded starters. I suspect that some positions are a little “deeper” than others, but perhaps I’m incorrect. Obviously, its quite difficult to determine who qualifies as a starter and who does not, but I might suggest using all players who spend any time in the minor leagues (excluding rehab assignments). That should identify the replacement population as well as anything. Jeff: Would your offensive production comparison change at all if you looked at median performance (or 20th percentile performance)? Mean levels can be distorted by a few great hitters at a position, which isn’t really relevant to your purpose here. In effect, we’re trying to measure the differences by position of replacement-level players. While mean and replacement level offense must track reasonably well, you might see non-trivial differences in a few cases. He used the harmonic mean for his calculations. This will give a result that gives less weight to outliers.